So in our last 2 blog posts, Abram has been on a journey with God… a journey towards his destiny… a journey of finding the Abraham that God created him to be. This journey required that he leave behind his father, his family, and his country. God wanted to be a Father to Abram and to transform Abram into Abraham, the father of many nations. First, though he had to be taught what a true father is…. his father was not teaching him about a covenant relationship with God but rather covenant relationships with idols. Abraham made the choice to leave and set out on this journey to Canaan. Abraham made the choice to leave and set out on this journey to Canaan. He took his wife Sarai with him and all their cattle and servants that they accumulated in Haran… and verse 4 says that Lot went with him. In the Hebrew it says Lot walked (halak) with him…. halak means to live following a manner of life, to follow the precepts of God, to follow after. Lot was following Abram who was following God… reminds me of 1 Cor 11:1 when Paul told the Corinthians to “follow him as I follow Christ” or “imitate me as I imitate Christ”. But remember back in chapter 15:17 “God caused Abraham to fall asleep, and then He came down in the image of a smoking fire pot and flaming torch and walked through the separated halves of the sacrificed animals by Himself”…… God was committed to upholding the covenant.. to blessing Abraham and his descendants whether they were faithful or not. It was a covenant established on grace, not works. God upheld both sides of the covenant… His and Abram’s. God was telling Abraham to walk with him, to follow after Him and He (El Shaddai) would make him complete and whole… and would pour out The Blessing on his life abundantly and continually. And finally, it’s here that he changes Abram’s name to Abraham. God added the Hebrew letter “hei” to Abram’s name. Hei is the 5th letter of the Hebrew alphabet and is a number for grace, goodness, and favor. It speaks of revelation and light. It is also the wind, breath…the Spirit of God…blowing on us. It is the divine breath of God breathed into Adam releasing His life into Adam. Adding hei to the end of a noun allows it to be fruitful and productive – it is the transforming power of the Spirit. All of this was added to Abram when he finally became Abraham at the age of 99. God poured out on him… added to him... grace, goodness, favor, revelation, light and of course the transforming power of the Holy Spirit to be fruitful and productive. Abram became Abraham – a man whose destiny is wrapped up in and made manifest through the work of God’s Spirit. We also receive a new identity when we follow after God and walk in covenant with Him… we are now IN CHRIST…. we are then able to walk complete and whole, blameless before God…. 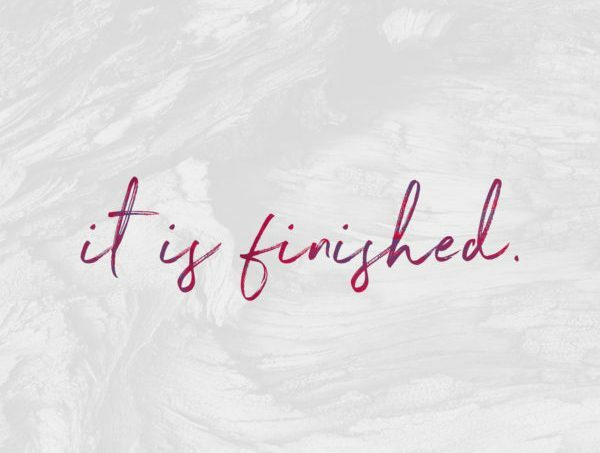 in the completed, finished work of the Cross and Resurrection and we receive the Holy Spirit… Who transforms us, equips us, helps us, making us fruitful. We are new creatures IN CHRIST through grace and empowered by Holy Spirit to walk out our God given destinies…. Gal 3:14, Gal 5:22-23, Rom 8:14, 1 Cor 12:4-11, Eph 3:20 and Eph 3:1-16 just to name a few scriptures. The letter “hei” is all about GRACE…..the infusion of the very BREATH or LIFE of God within us. Today allow Him to introduce you to your new self… to the you IN CHRIST, a new creature that never existed before!